If you are planning a party and you are looking for some good music to be played throughout the day check out these DJs for kid's parties in MD. These DJs will play music that will keep guests of all ages on their feet the entire party. 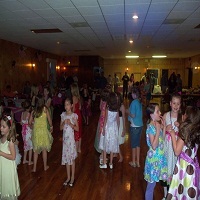 You can also find top DJ entertainers for hire and bands in MD at KidsParties.Party. 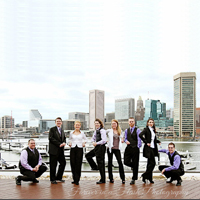 Absolute Entertainment is Maryland's largest and finest DJ Company. They provide DJs for several occasions like weddings, youth events, corporate parties and for many other events. They are even well-known for the kid's parties they attend. The company provides the latest technology for DJ music and even has well experienced DJs. The company also offers attractive lighting with themed equipment. If you are looking to hire a talented DJ you may contact them. You can also visit their webpage to check out more details. If you need DJs for your kid's parties in Maryland check out Absolute Entertainment. 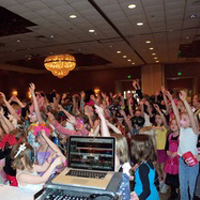 Dance Masters Entertainment provides DJ services for parties. They are specialized in kids' parties, weddings, corporate parties and much more. You may hire them to celebrate your kid's party or birthday. Dance Masters even offers talented DJs with the newest and hottest technology. If you are looking to have an enjoyable party with a DJ you may contact them to have the best and most exciting fun. People of MD that are looking for a DJ for a kids' party may hire them. People may also visit their webpage for more detailed info about Dance Masters. DC Metro DJs offers a fun-filled environment with fantastic music. They provide DJs for several events. DC Metro is even famous for their wonderful DJ services. You may hire them to celebrate your kid's party. People that love to dance with DJs and love to have a wonderful DJ night might contact them to get the best DJs for kid's parties in MD. Wonderful lighting effects and quality music, it's just awesome to celebrate your party with DC Metro. People looking for wonderful DJs may contact them. 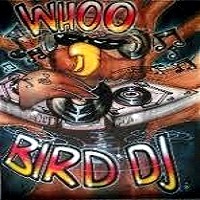 Whoo Bird DJ offers high quality music with superb DJs. They don't just offer professional DJs, they provide DJs that understand the importance of your party. 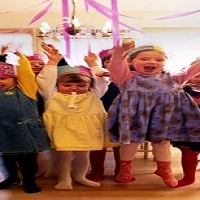 Especially for kids' parties they are the best and offer lovable music that your kids will enjoy. In-fact, they provide DJs for several other occasions like weddings, reunion parties, corporate parties and more. If you are looking to celebrate your day with a DJ you may contact them to have the best and most entertaining time. Check out these Maryland for your kid's party now! Pro Productions DJ offers several community events and personal DJs for parties. They provide excellent DJs with enjoyable music and offer wonderful lighting for parties. Pro Productions even specializes in kids' parties. All around Maryland they are even a famous DJ company. For parties, weddings, dances and for any other occasion they are really the best. If you need to hire a DJ for your kid's birthday party or for any other occasion in MD you may contact them. For more details you can also visit their webpage. Kool Karaoke & DJ is the best music service to enjoy any occasion with. To celebrate any kid's party or to have fun at any other occasion they are really the best. They even ensure you will have a memorable party with lovable music. Kool Karaoke doesn't just offer professional DJs, they even offer to give you the best celebrated party. People that love parties or need to hire DJ for kid's parties in MD may contact them for the best service. People may also visit their webpage for more details. 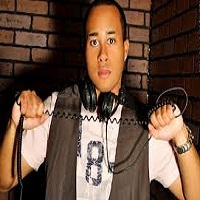 DJ Gully Entertainment offers the finest DJs for kid's parties around MD. DJ Gully even provides a variety of music to enjoy at parties. People that love to have fun, Gully offers them an energetic entertaining environment for all guests. Gully performs for parties and for any other entertaining occasion. The DJ is also awesome for kid's parties. People that love to rock their party with entertaining music may hire him. You can contact him to have an entertaining party performer or you may visit the webpage to know more details. Cruz Entertainment DJ offers a variety of music and provides DJ services for weddings, graduations, birthdays and for many other small or large occasions. They are even famous in Maryland as DJs for kid's parties. People love to dance with DJ music; Cruz Entertainment DJ is really entertaining for them. In-fact they offer wonderful music with superb lighting effects. Kids love to celebrate parties or birthdays with DJs, Cruz Entertainment is a wonderful option for them. You may visit their webpage for more detailed info. DJ Kidd Entertainment is a small company that offers rocking music to celebrate any party or event. 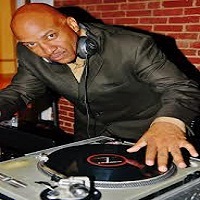 DJ Kidd is even one of the finest DJs for kid's parties around MD. He is even specialized to present a rocking party with energetic music. DJ Kidd even offers music for several other occasions. Weddings, kid's parties, even for any small or big celebrating program, DJ Kidd is really awesome. You may hire DJ Kidd to celebrate the best party. You can also visit his webpage or may contact him for more details. Just Rite DJ is among the finest DJs of MD especially for kid's parties. 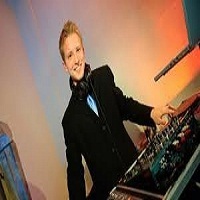 Just Rite offers DJs for parties, events and for any kind of enjoyable occasion. You can even hire a DJ from here to celebrate your kid's birthday party or even for any kind of kid's party. They offer excellent music and a great dancing environment to celebrate your party. They are also specialized in wedding parties. Kids that love dancing parties or love to have fun with friends with a DJ may contact Just Rite. Just Rite has their website available for more details.